Homeownership is an exciting enterprise. Most homeowners take pride in their living space, and they are interested in protecting and improving their home investment. When it comes to improving your home, paying attention to the outside is just as important as updating the indoor features. This is especially true when homeowners are looking to increase resale value. Custom decks are an excellent way to update your home and add value to your property. Deck building is a precise business that should be completed with care. This includes spending the time to select the right deck for each home as well as taking care during deck construction. When you work with a reliable deck builder, they will be able to provide options for many custom decks. This includes customizing materials, deck design, and deck size. Choosing a deck that matches well with the overall look and feel of your home is an important consideration as you seek to add value to your home. You need to make sure the deck is in harmony with the rest of the house. 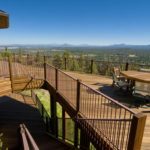 Your home is unique, so you should ensure that your deck is also. As you choose a deck that sets your home apart from others, it can help increase the value of the property. As you consider adding custom decks to your property, choose one that fits the needs of your home. Does your home need an outdoor living area? Would a deck provide your home a needed outdoor extension to your kitchen area for use as an outdoor cooking space? Choose the perfect fit to add value to your home and you will be pleased with the result.